Google likes to run updates to make their search engine more user friendly for “searchers”. 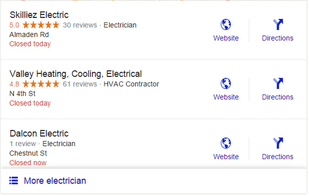 Just Recently Google eliminated the top 7 Google Maps business listings and Now Only Shows 3 Businesses. Are You One Of The Three? 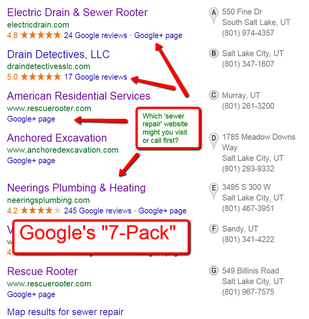 Now It's Much Harder To Dominate Google & The Competition For The Top 3 Spots Is 10X More Difficult. Now All Of the Calls Will Be Filtered To You And Only 2 Other Businesses. If you’re like most of my clients, you’re a winner Or You Wouldn't Still Be Reading!